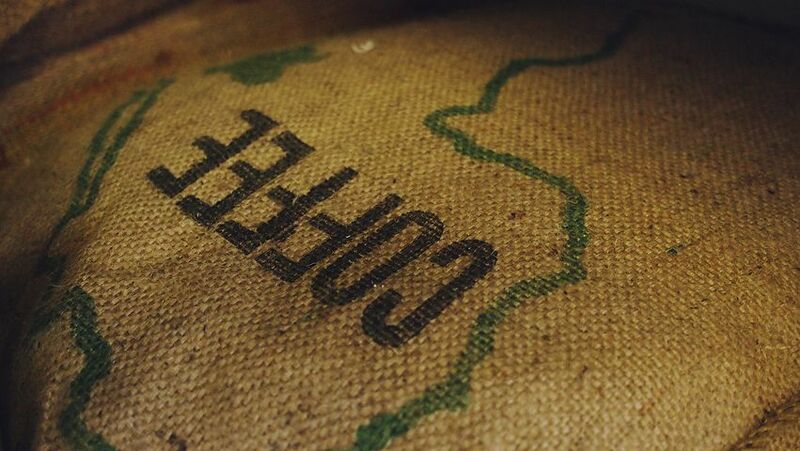 With 159mil (60kg) bags produced in 2016 and a record global consumption of 158mil bags, coffee is a world traded commodity. This means that in average (2016) every single human life on Earth consumed ~1.27kg (2.8lbs) of coffee. In my humble opinion, this makes caffeine the most widely administered drug on Earth!While the Finish lead the coffee consumption per capita (10kg/person per year), Americans remain the biggest world consumer of coffee drinking no less than 400mil coffee cups daily. Since this number accounts for roughly 150mil US adults, we can safely assume that each adult American drinks ~2.6 cups daily, 65% of which is during breakfast (1.7 cups). Now, if you know American-style coffee drinking as I know it, a “cup” is not the stylish-cute 100ml (3oz) coffee cup, but rather a wealthy-generous 250ml (8oz) minimum! Knowing that an 8oz coffee cup provides 95mg of pure caffeine, this means that over breakfast every American adult drinking coffee intakes a loading dose of 1.7 x 95 = 161.5mg caffeine. The amount varies depending on the number of coffee shots in a “cup“. For example, my favorite Starbucks drink – a 4-shot grande cappuccino – equates to ~500mg caffeine. Nearly any “medium” specialty coffee at a coffee shop will be made with two shots of espresso coffee, thus it will give you roughly 125mg of caffeine per breakfast. A Starbucks’ tall coffee (12oz) accounts for 235mg caffeine, while grande (16oz) and venti (20oz) score as high up as 310mg and 410mg caffeine without any extra added espresso shots. Check their current nutrition facts here. Please, don’t get me wrong! I am a Starbucks lover, but if you want to know what these numbers mean for your daily coffee intake, keep reading. “Caffeine is the most widely consumed psychoactive or central nervous system stimulant in the world” – Curatolo and Robertson, 1983. “When administered in the doses commonly found in beverages and drugs, it has measurable effects on certain types of human performance. It is readily available to both the civilian and the military populations as a beverage (coffee, tea, maté), food (cocoa products), food additive (soft drinks, bottled water), and pharmaceutical (over-the-counter pain and weight-loss medications, numerous prescription drugs). No other substance has this combination of uses” – U.S. Institute of Medicine Committee on Military Nutrition Research, 2001. Almost every bit of caffeine in your coffee or caffeinated drink is absorbed in the first 45 minutes after ingestion, so at about 1 hour after your morning coffee, you have a maximum blood concentration level. It is this concentration that is responsible for your awakening and focus, but also for your heart racing and jitters. Lack of food during breakfast may significantly speed-up this process, while food rich in fiber may delay the time to maximum peak. This means that having cereal for breakfast will delay the caffeine kick-in. Use this knowledge to your benefit! Having a great fiber intake with your breakfast is a healthy choice. While it may, indeed, delay the caffeine-kick, it may, in fact, diminish some of its unwanted effects and this may play very well for you! Should there be one morning when you absolutely need the caffeine effect quickly, then choose the eggs over cereal for your breakfast! Don’t make this choice often, however! The one and only faster absorbing caffeine-kick I am aware of is the one provided by chewing caffeine-containing gum. Don’t abuse it, this is as much of a drug as coffee is! Curious to see more caffeine-gum options? Check out my store. Remeber, under absolutely no circumstance can you give such a gum to children! Beyond the caffeine absorption and the often much-wanted caffeine-kick, you need to know that the liver does not interfere with caffeine absorption. Interestingly, as opposed to many other drugs, the liver does not have a so-called first-pass effect on caffeine. For those curious: that would suggest no effective difference between oral and injectable caffeine administration, meaning that both may lead to very serious consequences if abused. Caffeine is lipophilic enough to cross cellular membranes, including the blood-brain-barrier, and just hydrophilic (water-loving) enough to be quickly distributed into the intracellular tissue water as well. In brief: it will be quite everywhere in your body within roughly 1h after you drink your coffee. It is this fantastically fast distribution that probably prevents the liver first-pass. It will then take about 3h until the liver will get to clear about half of what was ingested. Ironically, this is when most of us will grab another coffee! Say that this morning at 8 am I ordered a grande Starbucks coffee with no additional espresso shots. Then enjoyed it on my way to work and I finished it in ~30min before I got to my office. This has put into my system 310mg of caffeine which got distributed almost immediately everywhere throughout my body (the same applies to caffeinated tea!). Without being a fast or slow metabolizer, by 11:30 am the amount of caffeine still loaded into my body is probably ~150mg. If at 11:30 am I am grabbing another cup of coffee (another 310mg), within 45 minutes to 1 hour I will be loaded with a total of 150+310=460mg of caffeine (perhaps a little less becuase in that hour I am still clearing out some of the caffeine). Depending on my body’s sensitivity, this new higher dose may trigger a faster heartbeat even though I felt nothing similar after my morning cup of coffee. It will take another ~3h to metabolize and get rid of half of this amount of caffeine. So, by 2:30 pm my body will still hold onto a good 230mg of caffeine. This is now the dangerous decision-making moment! Many of us, myself included, around 2:30 pm think “I should have my coffee now, to make sure that I will sleep tonight“. Then we walk happily to the cafeteria or the office kitchen and grab another – maybe smaller – cup of coffee. I recognize myself in this habit, do you? When do I get rid of my morning coffee? To do the fair math, the leftover 230mg of caffeine that I still had in my body with another at least 235mg in a tall coffee cup will bring me back up to ~465mg total caffeine in my body by 3:30pm. If everything goes as physiologically expected, by 6:30 pm, I will have 230mg caffeine in my system, then by 9:30 pm I will still hold onto 115mg. It will take until past midnight that the caffeine in my body will go down to ~55mg caffeine. No wonder that this will give me some difficulty falling asleep. However, the story of caffeine adventures in my body doesn’t end here. Caffeine doesn’t just disappear when you see these numbers getting lower. It is converted by the liver into a substance called paraxanthine. What does paraxanthine do? We are not quite sure, but some in-vitro evidence indicates that it can bind to the adrenergic receptors. In fact, more recently, animal studies have shown that “in rats, paraxanthine has a stronger locomotor activating effect than caffeine or the two other main metabolites of caffeine, theophylline and theobromine“. This data demonstrates that paraxanthine reinforces the psychostimulant effects of caffeine. How far? We don’t know, but something is known for sure: I am almost never in my native, unstimulated form. On the positive side, moderate caffeine intake was associated with a decreased risk of all-cause mortality, regardless of the presence or absence of coffee consumption. Am I going to live longer because I drink coffee?? Honestly, I think it is more along the lines of sick people can’t drink coffee (i.e. heart, stomach, gut-related conditions, etc), so the ones who do drink coffee are healthier to begin with and, thus, live longer than the ones not drinking coffee. Are we going to stop drinking coffee? Coffee drinking isn’t going anywhere. Some research shows that, potentially, type 2 diabetes patients are capable of metabolizing caffeine faster. I am wondering whether this is the reason that most of the world’s population (i.e. the diabetes pandemic part of the coffee buyers) needs more coffee. For instance, in 2002 in the U.S. there were 9,500 coffee shops. The number of coffee shops increased to 25,000 by 2008 and there is data suggesting it will reach 50,000 in the coming few years. However, metabolizing caffeine faster means building up faster a metabolite that has largely similar properties (paraxanthine). According to drugs.com, there are 9 major caffeine-disease interactions and several drug-caffeine interactions. Check them out below. If any of them applies to you, you may want to reconsider your caffeine intake. Read more about coffee in my previous post or check out my coffee recipes here. In the end, I do enjoy a good coffee and I will surely recommend a few of my favorites for you as well. Check out my coffee recipes too and stay healthy until next time! Caffeine for the Sustainment of Mental Task Performance: Formulations for Military Operations. Institute of Medicine (US) Committee on Military Nutrition Research. Washington (DC): National Academies Press 2001. Urri E, Jetter A, Landolt H, et al. Assessment of CYP1A2 enzyme activity in relation to type-2 diabetes and habitual caffeine intake. 2016; Nutr Metab (London) 13: 66. Orru M, Guitart S, Karcz-Kubicha M, et al. Psychostimulant pharmacological profile of paraxanthine, the main metabolite of caffeine in humans. 2014; Neuropharmacology. 2013;67C:476-84. Tsujimoto T, Kajio H, Sugiyama T. Association Between Caffeine Intake and All-Cause and Cause-Specific Mortality: A Population-Based Prospective Cohort Study. Mayo Clin Proc. 2017;92(8):1190-1202.